New masterbatch flame retardant with high transparency and colorability can be used for curtains, carpets and wallpapers. Komanda materials used in arc flash protection and flame resistance clothing markets. 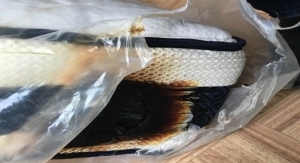 Media renews interest in chemicals reform and furniture flammability; CBP to establish virtual port for textiles/apparel. Investment will help expand capabilities. Site features multimedia demonstrations to illustrate the science behind Gore’s fabric technology. Products manufactured consist of geotextiles, fabrics, fibers and the trademarked BlaZbarrier, a flame retardant barrier fabric. The company will partner with Chinamex to make products for defense, police and emergency response applications.